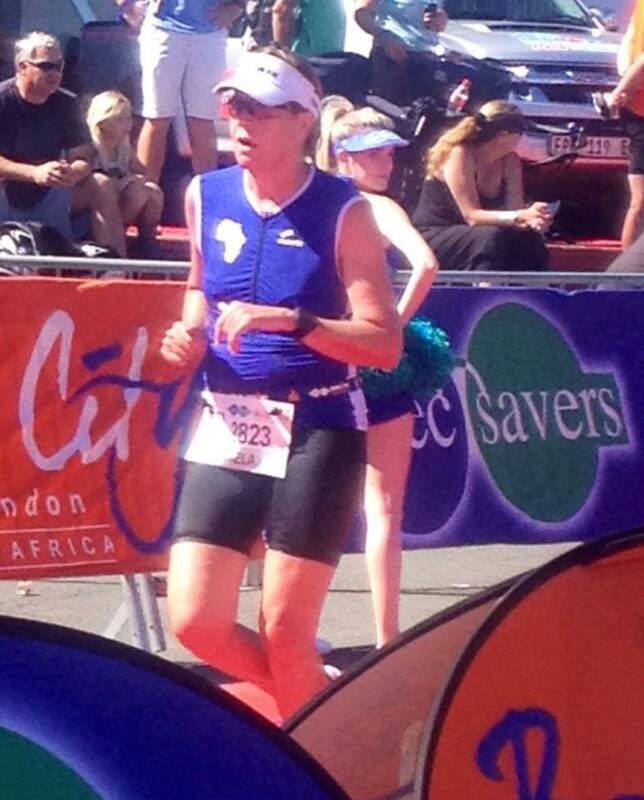 Ironman – Page 2 – My Happy Pace! Day 27 – Today I am VERY grateful that Home Affairs has moved. The new building is so much better and you don’t get harassed as you enter. They have secure parking – and the queues even moved pretty quickly. I finally changed my ID and Passport into my married name. It was not as traumatic as I was expecting. Day 28 – I am grateful for the help and support I am getting to make changes in my life. Hopefully this has a long term positive effect on life in general as well as my marriage. I suppose I should really be grateful besides my friends and family who listen to me that I can afford to hire somebody that is helping me do this. Day 29 – Today I am in a totally soppy mood and just feel like writing a whole list of things I am grateful for. There is not one specific thing that stands out more than the others. For my friend and training partner that also does not take this whole Ironman thing too seriously. But takes it seriously enough to drive to my place at 5 am. We went for a run this morning, but after 2 km’s decided to walk instead. Such a beautiful morning, we just kept walking and talking. In the end we probably walked about 5 km. To my neighbours – for having 5 daughters, and that the oldest 3 are able to baby sit. Very useful. I am grateful for one of my work colleagues – who is much more of a friend that a colleague. I am grateful that we have made a decision on Little OL’s school and after parent night last night we are even happier with that decision. I am grateful that nobody laughed out loud last night at the restaurant that Mr OL decided to have dinner at after parent night. We forgot that we had on very large name tags Little OL’s name on them. Yike – blind. I am grateful that sometimes Mr OL totally ignores my opinion and does what he wants. Like replace the floors in our house. They are gorgeous – and I fought him tooth and nail. Yes, you were right – sorry. Now all I need to do is paint the walls and buy new curtains. Happy girl. I am grateful to my 2 year old for being so totally absolutely adorable!!! Ok, I could actually go on – as I said I am in a totally soppy mood right now. I guess what I am trying to say is I am in a happy place right now. Day 24 – I am grateful, that even though I had a bad run this morning, I was still able to run. Day 25 – I am grateful to Mr OL for watching Little OL for the whole morning. Day 26 – I am grateful I am a morning person – however, I am battling a bit this afternoon. 3:30 am is a bit early even for me….. It was stunning though and well worth it. We had a fantastic ride – I am also grateful that it is light at 4:30 when we hit the road. Day 20 – Today I am grateful to my friend and training partner. Who not only puts up with unexpected cancellations and working around Little OL but also drives all the way across town at 4:30 am to cycle with me, whether it is indoors on our trainers or like today when we finally actually got on the road! Ironman 70.3 South Africa is only two months away and this morning was the first morning that I did a training ride on the road! And boy was it awesome. It is already just getting light at 4:30, the weather was perfect and the ride went better than expected. I also did a triathlon on Sunday and was quite surprised by how well it went, seeing as the only riding I have been doing has been indoors. I have been running quite a bit so am stronger there than I normally am. I am loving training again, I have a good schedule that works for Little OL and I and she now gets to see her Granny at least once a week. Happiness all round! Lately I have been running quite a bit and it is finally beginning to show in my times. For those “runners” out there I know – still pretty slow. For me however it is fast, so just let me have my moment of glory and say “well done”. This weekend I podium’ed!!!! Yes, for the first time since ever – or at least since I left school. I cam 3rd in my age group and I was not even there to collect my prize. I knew I was pretty far up the field but was not sure where I had come. It did help that there were three races, a 27km, a 10km and a 5 km so I am guessing that all the super quick girls did the 27km. But – I am not going to look for justifications!! I came 3rd in my age group fair and square. I ran my fasted “stand-alone” 10km ever (yes, believe it or not I have actually done it quicker in a triathlon).and I got my first silver medal – which I only realised the next day when I was taking it out my car. That means that I finished in the top 100. Today when I looked at my results I actually came 73 out of 306 people, so I am VERY happy. Now I just need to work on my bike and I will be a happy girl! At this rate I will not even make the bike cut-off and so my runs will be for nothing! I have not ridden my bike (besides on the indoor trainer) since April!